Tax….Tax…. Tax…How many times we hear people complaining about this … Every time I go shopping I do not have any money to spend …all of it goes to pay Tax. It is that time of the year when we taxpayers have to think of the various tax saving instruments necessary for us to save tax. Here in order to study Tax Planning one can look up the website IndianMoney.com. Most of us have heard of Section 80C of the income tax Act 1961 , but how many of us have actually thought of its benefits for our well being? This Section 80C was passed mainly with an eye to increase savings among the youth in India for their wellbeing in their retirement years. Many of us complain about insufficient funds to splurge on things we don’t really need. How much thought is given to our savings? This is an immense measure of foresight shown by the Indian Government encouraging them albeit some may say forcibly to save money for their retirement needs. On a lighter note a fool and his money are soon parted. The rest of us wait for tax time. 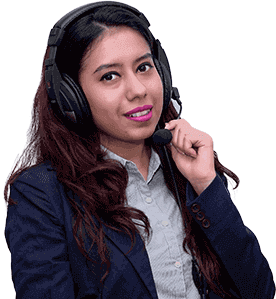 I would like to remind all of you that the team of Financial Planners at IndianMoney.com are always there for you to plan your Tax Planning needs in a most effective and efficient manner. You can explore this unique Free Advisory Service just by giving a missed call on 02261816111. Certain investments are deductible up to a maximum of INR 1Lakh per annum from gross total income. This tax exemption is available across Individual Tax Slabs. If you earn 4 Lakhs per annum and make investments of 1 Lakh per Annum in 80C instruments then the taxable amount will be 3 Lakhs. PPF carries a term of 15 years and it can be extended in blocks of 5 years each for any number of blocks. Here investments can be made in fixed deposits not exceeding an amount of Rs 1Lakh per annum for a period of 5 years under section 80C. Here the bank will issue you a Tax Saver Fixed Deposit and they will put a stamp on FD receipt regarding a lock in of 5 years. Interest rates range from 8.5-9.5%.Interest is taxable. Most of the young couples and middle aged income tax payers incur quite high payments towards the education fees of their children. Deduction under this section is available for tuition fees paid on two children’s education. .Here Husband and wife have separate limit of 2 children and can claim deduction for 2 children each. No deductions for the studies of spouse or self. Here Annual Interest earned is deemed to be reinvested and qualifies for tax rebate for first 5 years under section 80C of Income Tax act. Here a 10 year NSC gives returns of 8.8% and rest of the features are same as 5 year NSC. Here Employee Provident Fund is a scheme intended to help employees from both private and public sectors to save a fraction of their salary every month in a savings scheme to be used mainly upon retirement. This is automatically deducted from basic salary. Both Employer and Employee contribute towards this at the rate of 12% of the basic wages and Dearness allowance (if any) per month.. Employees also have the option to contribute additional amounts through voluntary contributions. The returns here are around 8.5% per annum. Interest earned is tax free. The Principal amount of the home loan would be deducted under 80C , if you are paying EMI (Equated Monthly Installments) on a home loan. There are 2 portions of the home loan namely Principal and the Interest. Here the Principal part of the EMI is tax exempt under section 80C.The principal repayment shall be deducted under section 80 C only if the loan seeker is staying in the same house for which the loan is issued. If a person is not residing because he is working out of town then the deductions hold. If the house is not occupied by the owner or is under construction the deductions under section 80C is not applicable. Here joint holders can claim maximum tax benefits individually. Here each holder can get a tax rebate of one Lakh for principal repayment under Section 80C. An amount of Rs 1 Lakh that you pay towards life insurance premium for Yourself, Spouse and your Children can be included in Section 80C deduction and reduced from your taxable income.. Premiums payed for Parents and In-Laws are not eligiblefor tax deductions under section 80C of the Income tax acts. For insurance policies issued on or after April 1st 2012, deduction are allowed for only so much of the premium payable as does not exceed 10% of the actual capital sum assured. The sum received including bonus under life Insurance is tax free. These are similar to bank fixed deposits. The rate offered is 7.5%. The interest here is taxable. Here five year post office time deposits only qualify for tax deductions under section 80C. At present the tax treatment for contribution made in tier 1 account is entitled for deductions from gross total income up to 1 Lakh under Section 80C. The appreciation accrued on the contribution and the amount used by the subscriber to buy annuity are not taxable. Here the interest offered is 8.5%. Here ELSS is a diversified equity mutual fund which has a majority of the corpus invested in equities. This type of mutual fund has a lock in period of 3 years from the date of investments. Investors can exit ELSS by selling it after 3 years. ELSS have both dividend and growth option. Investors get a lump sum at the end of 3 years in growth schemes and investors get a regular dividend income whenever dividend is declared by the fund. You can claim up to 1 Lakh of your ELSS investments as a deduction from your gross total income. National Housing Bank (Tax Saving) term deposit scheme is approved for 80 C deductions. The duration of this scheme is 5 years and interest rate is 9.25%.Maximum amount investible is 1 Lakh. Minimum of INR 10000 and in multiples thereof up to a maximum of 1 Lakh. As per the present provisions U/S 194 A of the Income Tax Act 1961 Interest up to INR 5000 in a financial year is exempt from deduction of tax at source. Here the premium payable by the tax payer under ULIP’s will qualify for a tax deduction under section 80C of the income tax act. In case of death of the policyholder the amount received by the nominees is tax free. Here the proceeds received from the ULIP in case of maturity of the product is classified as payout from the insurance policy and under section 10(10D) the entire amount is tax free in the hands of the receiver. Above benefits will be reversed if the policy is terminated within 5 years. Investments in rural bonds issued by National Bank For Agriculture And Rural Development qualify for deduction under Section 80C. Here the amount you pay as stamp duty when you buy a house and the amount you pay for the registration of the documents of the house can be claimed as deductions under section 80C. 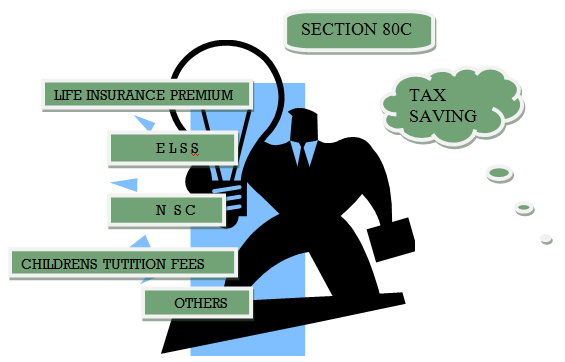 Here I would like to end this article hoping that you may have gained essential knowledge on how Section 80 C benefits us and how we can save our money by using these tax saving instruments. Paying tax often pinches an investor’s pocket but no tax planning creates a further hole in the pocket. It would be great if all of us keep this in mind and give importance to our tax planning needs. For your Tax planning and Financial planning needs please look up the website IndianMoney.com.